Do you want to bring a dark or small room to life with light wood flooring? Have you considered luxury vinyl tiles? While realistically replicating the natural texture and authentic finish of wood flooring, these tiles are priced lower and offer numerous other benefits. Thanks to technological advancements, luxury vinyl tiles are better than ever before. They are available in different wood tones including light, medium and dark and even replicate the unique grain of real wood. Whether you’re looking for maple, oak, pine or walnut effects, you can choose from hundreds of products and wood effects. Luxury vinyl tiles that replicate light wood flooring help bring in the beauty of the natural world inside homes and create a warm, homely atmosphere. Luxury vinyl tiles are beautiful, resilient, non-porous, durable and low maintenance. With a protective PU layer, they keep looking good for years. They do not warp or swell, so they can be used in kitchens and bathrooms as well. They are easily installed over existing hard flooring and removed just as easily. They are more affordable than natural wood flooring and laminate flooring. All these benefits make luxury vinyl tiles with light wood flooring effects an excellent choice for domestic applications. Vinyl tiles with wood flooring effects are quite versatile and serve as the perfect blank canvas for creating unique interiors. They go well with many colours – you can pair them with beautiful furnishings and really bring your personality into a room. Besides, they really open up a space and create a wonderfully calm atmosphere. They are recommended for all areas of your home including kitchen, bedrooms, living room etc. 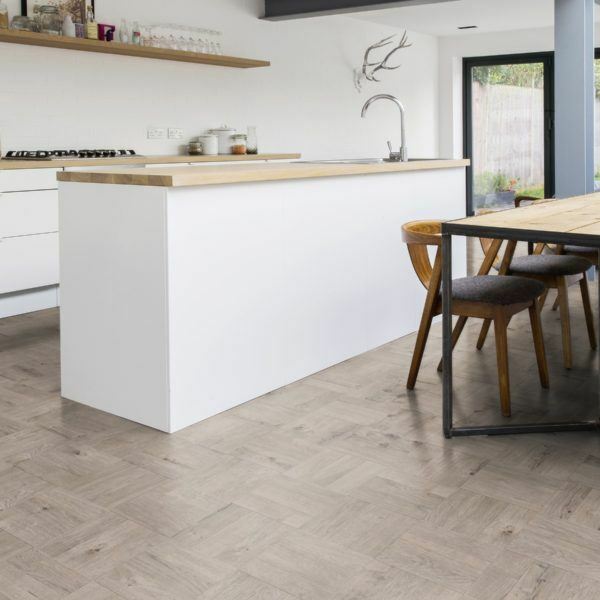 To find the perfect vinyl tiles with light wood flooring effects in the UK, shop at a reputed online shop offering a wide array of quality flooring options from leading brands such as Karndean, Moduleo and Victoria Luxury Flooring. Look for deals such as free samples, volume discounts and free nationwide delivery to obtain the best value from your purchase. Compare prices between suppliers, so you know for sure they’re offering the lowest prices. Infuse your home with the natural beauty of wood without the drawbacks – select from a wide range of luxury vinyl tiles with wood flooring effects!